The new governor of California announced last week that he proposed to cut about $1.5bn from the largest and arguably the best state system of higher education in the country. Such a cut will further damage the quantity and quality of the skilled and hi-tech workforce on which the nation’s economic future depends. Governor Brown also proposed over $1bn in cuts to the Medicare program providing healthcare to hundreds of thousands of California’s poorest residents. Meanwhile, Goldman Sachs pays out $15bn, alongside the other big banks’ comparable payouts. More than yet another glaring contribution to social division, these contrasts represent stages on the path to self-destructive social implosion. This entry was posted in UMass Economics, Wolff and tagged Richard Wolff on January 26, 2011 by . Richard Wolff, UMass Amherst economics professor emeritus, writes in a column for The Real News Network, that the tax bill just passed by Congress will further widen the gap between the rich and the poor in the United States. He discusses changes the estate tax, noting that the first $10 million left to heirs will not be assessed an estate tax and anything over $10 million will be assessed at 35 percent- 10 percent less than the under the current law, passed in 2009. Estate taxes have been justified and used in countless countries for centuries. Indeed, many of the 50 states in the US continue to impose estate taxes (and/or the slightly different “inheritance taxes”) using the same justification. Basically, the idea is that even the most minimal commitments to democracy and equality of opportunity require that all citizens begin with roughly equal resources and supports. Hard work, talent, and commitment should determine each individual’s successes rather than the wealth that one’s parents did or did not leave behind. So estate taxes were seen as ways to both support the government’s activities and help produce a more level playing field for each generation. What Obama’s tax bill does is directly contradict all this. It reduces the support for state activities from estate taxes while enhancing the inequality of starting points among our citizens. At a time when the economic crisis and the government’s responses to it already discriminated for the rich and against everyone else, this new tax bill takes that social injustice some steps further. This entry was posted in Wolff on December 20, 2010 by . Richard Wolff, UMass Amherst economics professor emeritus, is interviewed by RT News. He gives his view as to why the people of Europe are fighting to save their cultures from massive austerity being forced on them by private financial interests and their lackeys in government. He also discusses why Americans are not seeking the same relief as they face the same problems. Watch the interview. This entry was posted in Wolff on October 6, 2010 by . The upcoming elections will be decided in large part based on what voters think about economics. So Planet Money is looking into the economic thinking behind much of today’s politics. We’re going to start today with socialism. Now, with the notable exception of Vermont Senator Bernie Sanders, no major figure in American political life identifies as socialist. Certainly no serious contender for national office this November does. But socialism has become a large part of the discussion, with many conservative activists arguing that the nation may be “on the road toward a more socialist agenda,” as Sarah Palin said this summer. There is no evidence that President Obama or any leading Democrat is an avowed socialist. But we did think it would be worth digging a bit deeper into socialism and finding out what a socialist government in the U.S. might look like. Right now, the governments of Spain, Portugal, Greece, are headed by socialists. In the recent past, the UK, France, Canada have all been led by socialists. Most countries have an active socialist party; socialism is just one more mainstream way of thinking — on talk shows, on political debates, in the papers. 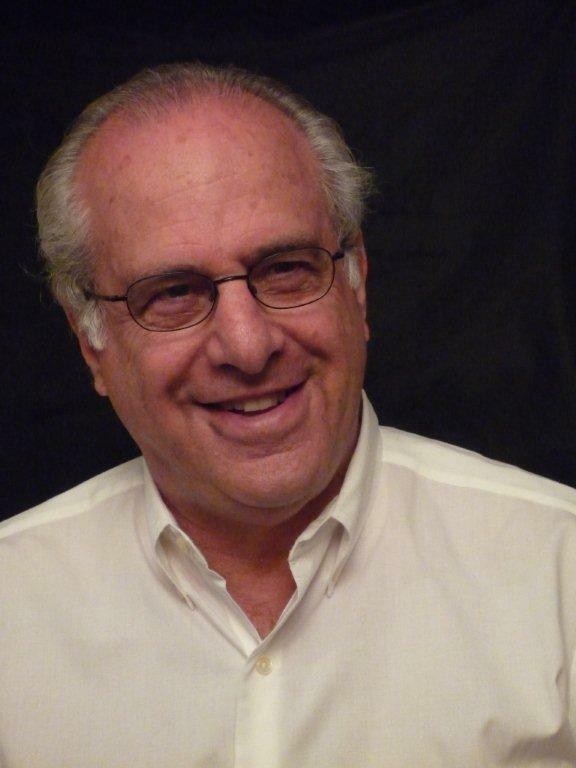 I talked to Richard Wolff, a real life American socialist — a Marxist Socialist, even — who is professor emeritus of economics at University of Massachusetts. He says that in the 1950s, the U.S. banned socialism from polite discourse. And, he says, it produces ignorance of what socialists think these days. Most Americans, he says, think that socialism died alongside the Soviet Union and the shift towards capitalism in China. For example, he says, socialists now say the government shouldn’t own everything. You can own your house, your car, even your own business. But, he says, socialism is not capitalism. Take how companies work. In capitalism, large companies are typically owned by shareholders, directed by a board, and run by a small number of managers. Most workers simply work in exchange for a paycheck. Under socialism, many companies would be owned by the workers and would function as a cooperative. “Groups of workers make the decisions: what to produce, how to produce, where to produce, and what to do with the profits that are generated,” Wolff says. The Democrats’ health-care reform and stimulus spending came nowhere near the socialist vision, Wolff says. A truly socialist government would instantly provide free health care to everyone and government jobs programs to employ every single out of work American — along with a host of other government programs that, these days, it’s hard to imagine the U.S. government being able to afford. Strangely (or, maybe, not so strangely) Wolff says he loves it every time he hears the word socialism in the media, even if it’s out of the mouth of an angry and possibly poorly informed critic. He says that for the first time in a long time, socialism is — sort of — back in the public discourse. For more: See Wolff’s web site. This entry was posted in Wolff on September 23, 2010 by . Rick Wolff, UMass Amherst economics professor emeritus, will give a talk titled, “The Continuing Economic Crisis: Why Bailouts Failed, What Needs to be Done” and sponsored by the New Haven Green Party. This event will be at the Unitarian Society of New Haven and is scheduled for Thursday, September 23rd. Doors will open at 6:30 pm. For more information, please visit: http://www.newhavengreenparty.org/communitycalendar.html. This entry was posted in Wolff on September 10, 2010 by . This entry was posted in Wolff on August 4, 2010 by . This entry was posted in Wolff on July 28, 2010 by . In his article, “Austerity: Why and for Whom?” Richard Woff, UMass Amherst economics professor emeritus, analyzes austerity measures that are likely to be imposed as a result of extreme governement borrowing. This entry was posted in UMass Economics, Wolff on July 19, 2010 by . 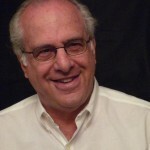 Richard Wolff, UMass Amherst emeritus economics professor, was recently interviewed by Harry Konstantinidis, UMass Amherst economics doctoral candidate, for the Greek newspaper, Avgi. During the interview Wolff addresses questions about the economic recovery in the United States, noting that the U.S. should take advantage of the opportunity to form communist class-structured enterprises. He also discusses the ongoing financial crisis in Greece and points out that part of the reason Greece has had a hard time securing additional loans, and the reason they are paying such a higher interest rate for the loans they do secure, is because lenders put much of their money in the U.S. The US government borrowed trillions of dollars to rescue US capitalism. Suddenly, private lenders around the world realized that they could put all of the money they wanted to lend to governments in the one safest country, the US. There was suddenly no need and no willingness to lend to other countries that were riskier borrowers than the mighty US. It was not that Greece or Portugal or Spain had become that much riskier than they had been last year. It was rather that the capitalist crisis in the US had changed the global credit system in ways that brought loanable funds to the US and made them much, much costlier for those other countries. Credit markets were working to shift the costs of the crisis from the US to Europe. This entry was posted in Graduate, Wolff on June 18, 2010 by .